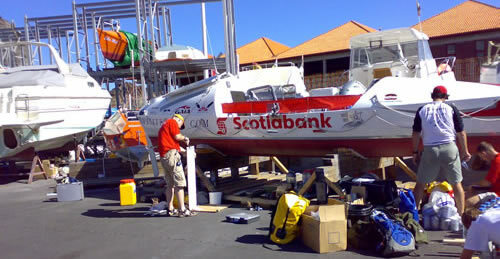 "For our crossing of the Atlantic in the Woodvale Atlantic Rowing Race 2007 we were very fortunate to link up with Mactra Marine Equipment who provided us with a Schenker Smart 30 watermaker and a Katadyn PUR35 handpump watermaker. Before embarking on our journey we had 2 highly informative workshops with Jim at Mactra, who took us through the functionality of the watermakers and explained how we could fix most of the problems we could conceivably encounter while at sea. Thankfully we never needed to use the Katadyn as the Schenker worked throughout the journey. At one point on the crossing we suffered a loss of pressure, but after 5 minutes on the phone to Jim we purged the offending valve and were back in action. I wouldn't hesitate to recommend the Schenker Smart 30 but in particular the service provided by Jim and his team at Mactra."